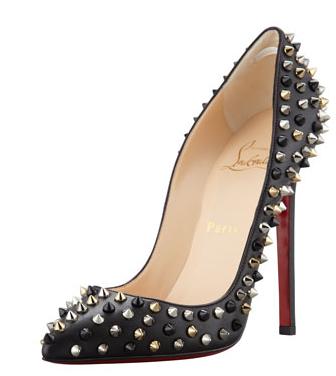 Take your classic black Louboutin pumps to a whole new level. Strategically placed golden, silver and black spikes stand out against the matte nappa leather and iconic red sole on this pointed toe pump. Available at bergdorfgoodman.com. Just in time for the holidays, this gorgeous limited edition collector’s bottle features notes of pomegranate darkened with spicy woods, Casablanca lily and a hint of pink pepper for a smooth and festive fragrance. 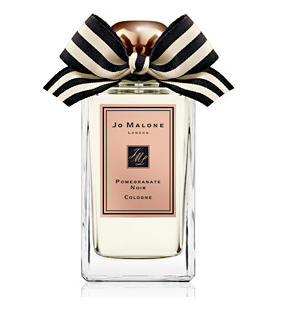 Available at jomalone.co.uk. 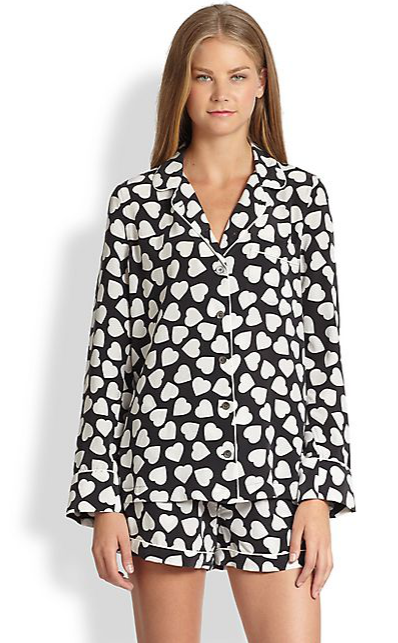 Sleep in style with this classic Equipment pajama set with silk tailoring and a fun black and white heart-print design. Available at saksfifthavenue.com. 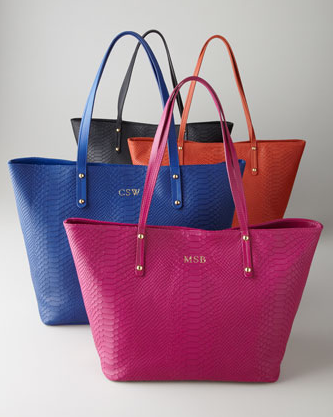 Make it personalized this holiday season with a colorful and practical tote bag crafted from python-embossed calfskin. Choose from the Madison tote that features a large interior zipped pocket with two interior slip pockets ($360) or the Taylor tote bag that has a full interior zipped pocket and two interior slip pockets with magnetic closure ($315). Available at neimanmarcus.com. Perfect for the holiday traveler, this gorgeous Charlotte Olympia night set features the designer’s classic kitty design in a royal red silk satin slipper and silk satin eye mask with metallic embroidery inside a matching zip pouch. Available at neimanmarcus.com.